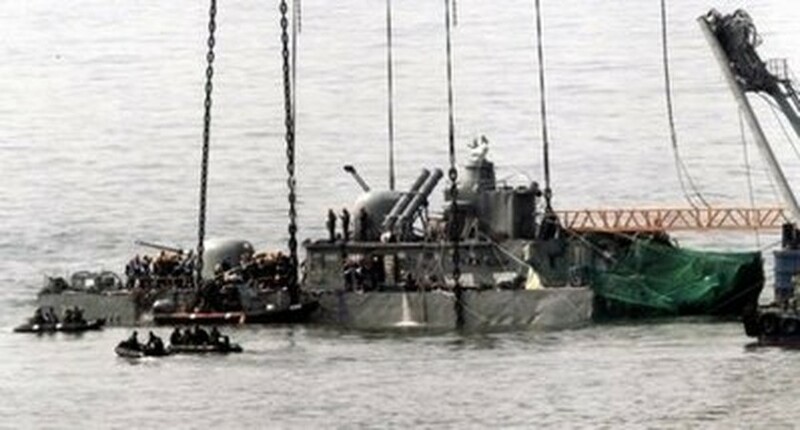 SEOUL, July 11, 2010 (AFP) - The UN command structure for multinational forces in South Korea may accept a North Korean proposal for military talks over the sinking of a South Korean warship, a report said Sunday. South Korea's Yonhap news agency said North Korea had proposed Friday that senior officers from the two sides meet on July 13 to discuss setting up general-level talks on the sinking of the Cheonan. The Cheonan, a corvette, was destroyed near the North-South border east of the Korean peninsula on March 26, killing 46 sailors in an attack that a multinational investigation convened by South Korea blamed on the North. Yonhap said the offer to hold the meeting of colonels, at the border village of Panmunjom, was a counterproposal to one from the US-led United Nations Command (UNC) in June to discuss the Cheonan investigation with the North. "Chances are high that the North-UNC meeting will take place," Yonhap quoted a senior official at the South's defence ministry as saying. "A working-level meeting can be held on July 13 as proposed by the North or it could be scheduled for a later date than that." The South's defence ministry refused to confirm the report. Pyongyang has angrily denied responsibility for attacking the Cheonan and said it regarded as "a great diplomatic victory" a resolution passed by the UN Security Council Friday that failed to blame it directly for the attack. South Korea, its ally the United States and several other countries had urged the UN to censure the North for the sinking, but China, the North's principal ally, resisted such a move. South Korea's defence ministry said there was no change to its plan to carry out a joint naval exercise with the United States in the Yellow Sea, despite objections from China. US Secretary of State Hillary Clinton and Defence Secretary Robert Gates are scheduled to attend a joint meeting of the foreign and defence ministers from the two countries in Seoul on July 21. In Seoul, Clinton and Gates will visit a war memorial to pay tribute to the 46 South Korean sailors, a defence ministry spokesman told AFP.